All identifying details have been changed, but these are real stories from our neighbors. These stories illustrate the impact our work has on our community. As we approach this time of giving, we hope you'll join us in helping our neighbors in need. And if you have a Required Minimum Distribution for your investments, please consider a gift to ICA. P.S. To protect client privacy, we also used stock photos to tell these stories. 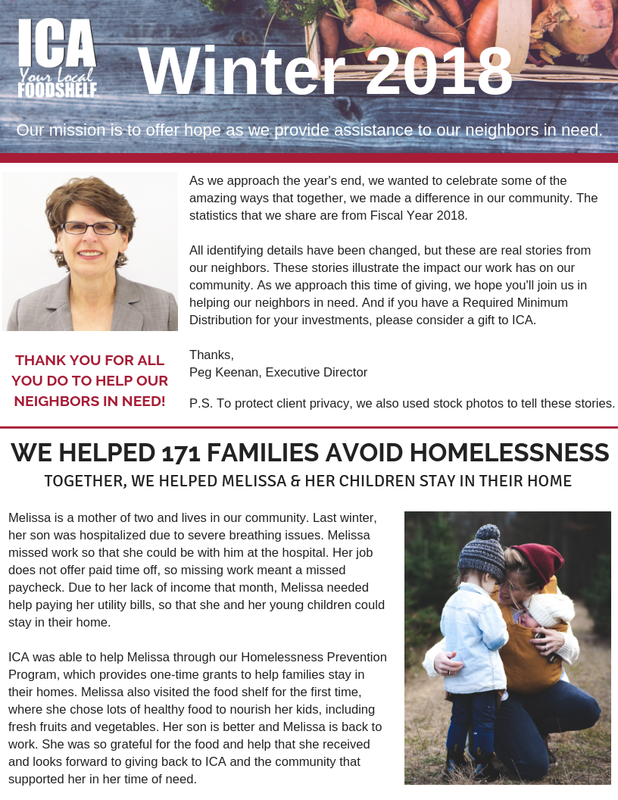 Read the full Winter Newsletter here.